I’ll share a little secret. If you came to me for help with irregular periods, I would think very carefully about your thyroid. It wouldn’t matter if you already had another diagnosis such as PCOS or hypothalamic amenorrhea. It wouldn’t matter if your doctor had vaguely said at some point that your blood test was normal. I would still think about your thyroid. Why? 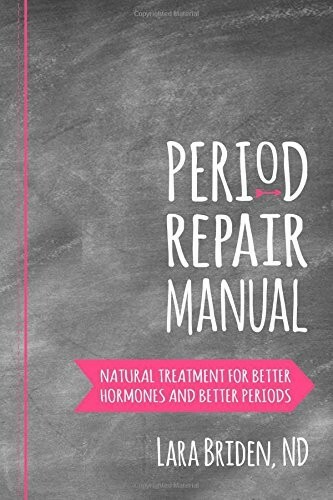 Because insufficient thyroid hormone (hypothyroidism) is a common reason for irregular periods. 1. It causes your pituitary to make too much of the hormone prolactin (which suppresses ovulation). It impairs insulin sensitivity (which increases your risk for PCOS). It slows the detoxification of estrogen and testosterone (which increases your risk for PCOS). It robs your ovaries of cellular energy and thereby impedes ovulation. Cellular energy is the energy (called ATP) that your cells use to do everything. Cellular energy is made by tiny cell organelles called mitochondria. Cellular energy can only be made when there is enough thyroid hormone to switch on mitochondria. Cellular energy, mitochondria, and thyroid are important for all tissue, but they are critically important for high-energy tissue such as ovaries. Why? Because ovaries have a big, big job to do. We saw this in Ode to Ovulation. Every month, your ovary must bring a healthy follicle (egg) all the way to maturation. As if that wasn’t enough, it must then go on to construct an amazing gland called the corpus luteum (which releases progesterone). In less than 24 hours, your corpus luteum develops from nothing into a fully vascularized 4 cm structure. Suffice it to say, that is a very high energy event. Ovulation requires cellular energy. It requires healthy mitochondria. It requires adequate thyroid hormone. Your doctor may not have screened at all. If you’re lucky, she did order a basic blood test called thyroid stimulating hormone (TSH), but TSH is not a great test. For one thing, the reference range is wrong. With the current reference range, hypothyroidism cannot be diagnosed until TSH is greater than 4 mIU/L. Yet, the research shows again and again that TSH should be less than 2.5 mIU/L. Another problem with TSH is that it can be artificially suppressed (made to look normal) by many different things, including stress and inflammation. I discussed this in the TSH post. Don’t accept that your thyroid is ‘normal’. Ask your doctor to consider your symptoms such as fatigue, dry skin, depression and hair loss. The other major symptom is high cholesterol. Ask your doctor to consider your family history. If you have a direct family member (mother or sister) with thyroid disease, then you are at risk, and you qualify for further investigation. Ask your doctor to do further tests. She can test for three kinds of hormone: free T4, free T3 and reverse T3. She can also test for thyroid antibodies (also called anti-TPO antibodies), which is an autoimmune marker. A positive test for antibodies is strong evidence that thyroid disease is the cause of your period problems. Eliminate wheat gluten from your diet to reduce autoimmunity. Supplement selenium to reduce autoimmunity. A safe dose is 100-150 mcg per day. Maintain healthy intestinal bacteria to reduce autoimmunity. 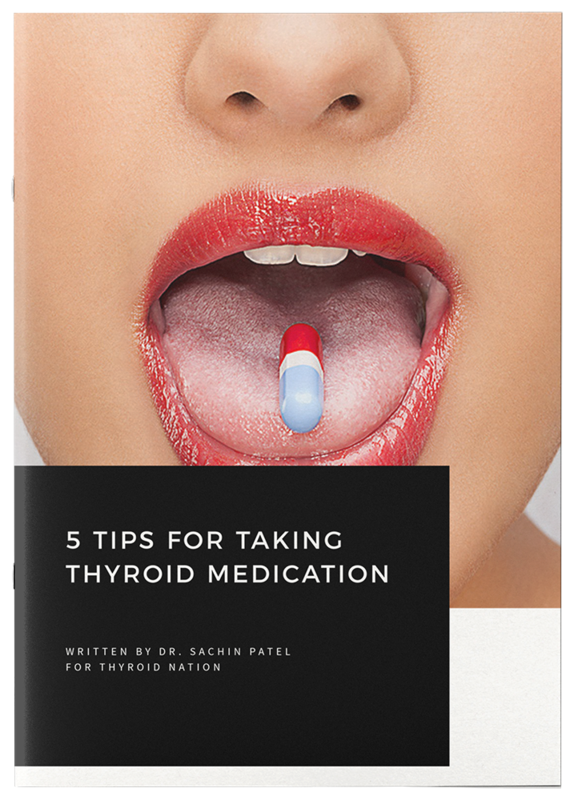 Supplement iodine to protect your thyroid from toxins such as mercury, perchlorate, plastics, and pesticides. A safe dose is 500 mcg (0.5 mg). High doses (>5 mg) of iodine can be harmful, so please be careful. Please see my iodine post for more information. Supplement magnesium to aid with the production of T4. Take the herbal medicine Ashwagandha (Withania) to aid with the production of T4. 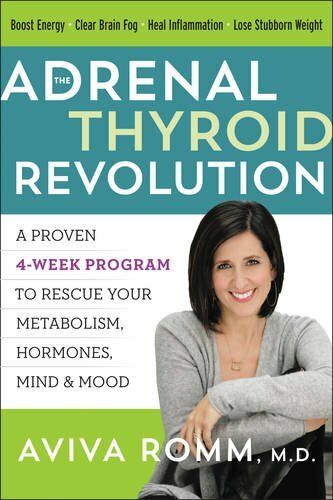 Ask your doctor to prescribe thyroid hormone. This is not always necessary, but it can be helpful. 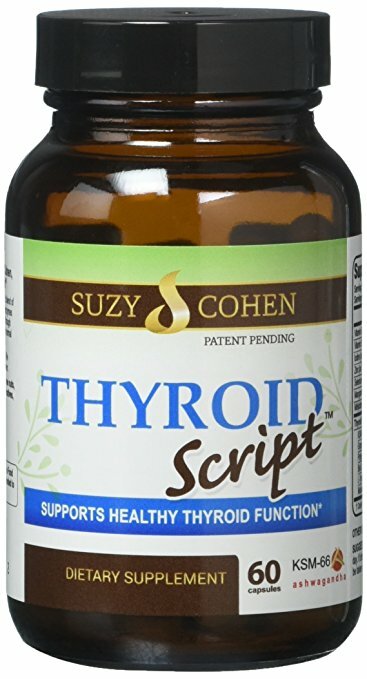 You can choose standard T4 medication, or your doctor can prescribe something with T3: either compounded T4 + T3, or desiccated thyroid (thyroid extract or Armour thyroid). 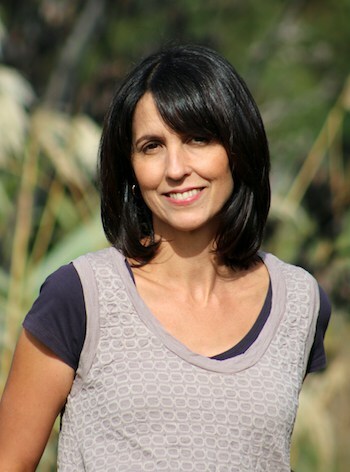 Lara Briden first worked as an evolutionary biologist at the University of Calgary. I then went on to graduate as a naturopathic doctor from the Canadian College of Naturopathic Medicine (CCNM) in Toronto. Her love of science and the natural world has informed the way she works with patients. She see’s the body as a pragmatic, regenerative system that knows what to do as soon as it’s given the right support. During her nearly twenty years of practice, thousands of patients have entrusted her with their hormone stories. Every story was unique, and every story helped her to understand health and hormones just that little bit better. 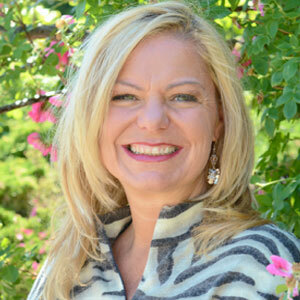 She first worked as an evolutionary biologist at the University of Calgary and then went on to graduate as a naturopathic doctor from the Canadian College of Naturopathic Medicine (CCNM) in Toronto. Please check out her website, LaraBriden.com, follow her on Twitter, Facebook and Instagram. Questions or anything to ask about irregular periods? We want your thoughts –Please! You might be able to help someone else in need with your comment.